How do I post a job or internship? 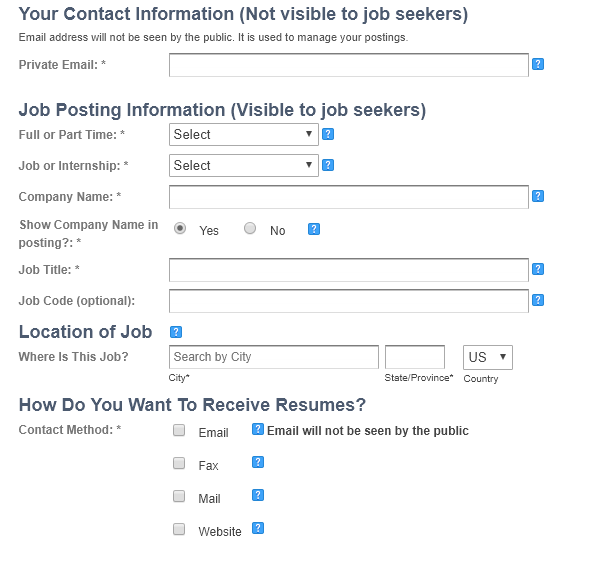 To post a job or internship, use the online submission form. You can access this by clicking on the " Employers" tab on any page on the site and then click the "Post a Job" button in the Employer toolbar. If everything is good, submit the job and you are good to go. You will receive an email confirmation of your submission. In that email will be a link that will allow you to edit, update, delete or upgrade the posting. 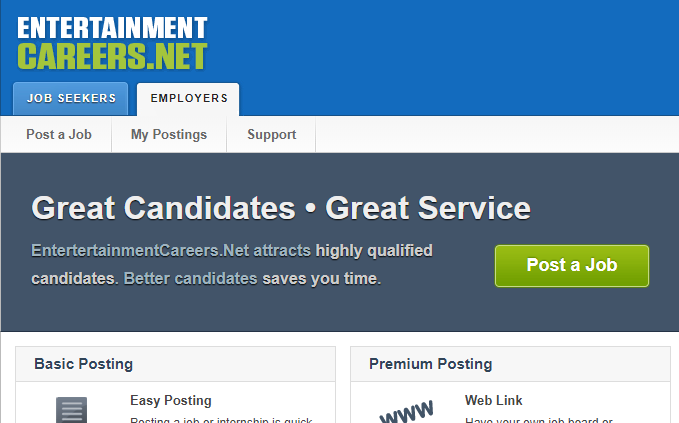 (You can also access your postings from the My Postings tab in the employer toolbar). How do I edit, update or delete a posting? How do I get my job posting featured on the site? How do I upgrade a posting? Can you automate my postings? What is ATS Sync?